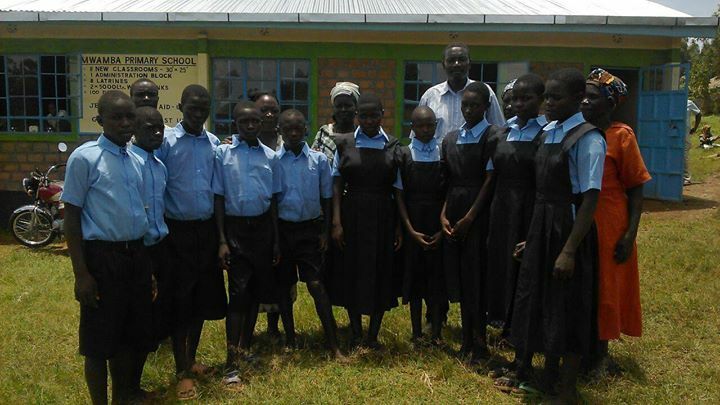 With Kenya’s highest rate of infection, the Nyanza Province faces high mortality rates, large numbers of AIDS orphans and poor educational opportunities. 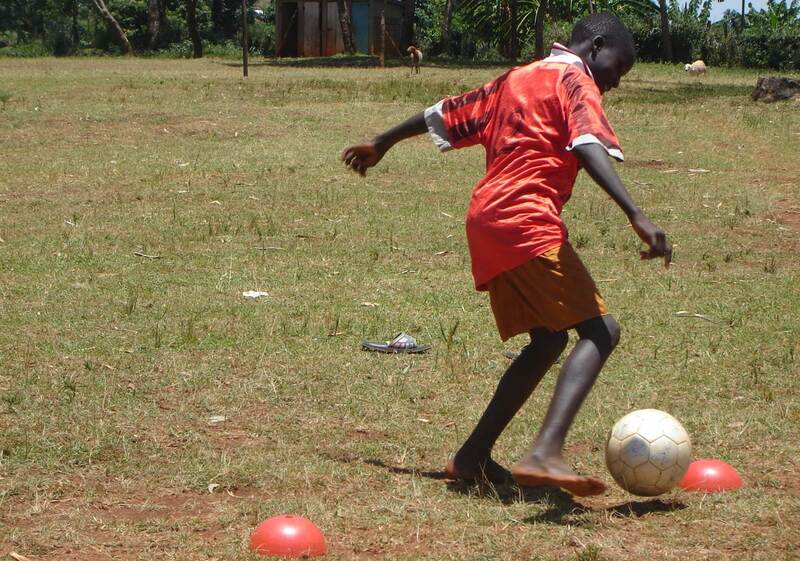 Using football to attract young people, Society Empowerment Project (SEP) provides life skills, sports leadership and management training. It also works closely with AIDS awareness and treatment groups and local schools to provide young people with training to reduce the level of infection. SEP strives to improve the livelihood of its participants through agricultural training: in partnership with the Ministry of Agriculture and Livestock, it provides assistance to families in small-scale agricultural production. 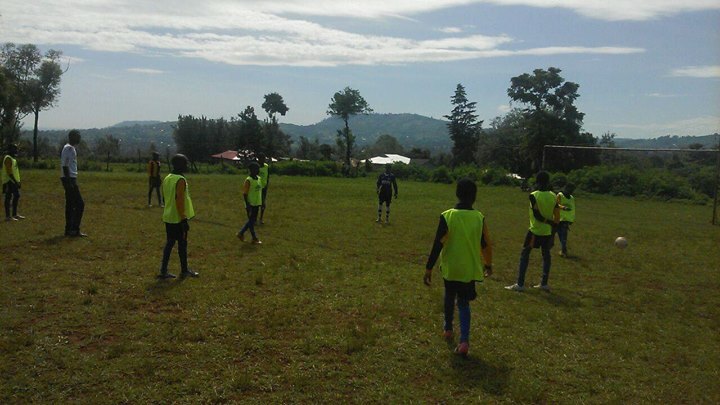 This year;s SEP National Soccer Extravaganza has been implemented through the support of Football For Hope (FFH), The Global Partners for Development (GPFD)-USA and the local community of Oyugis region. 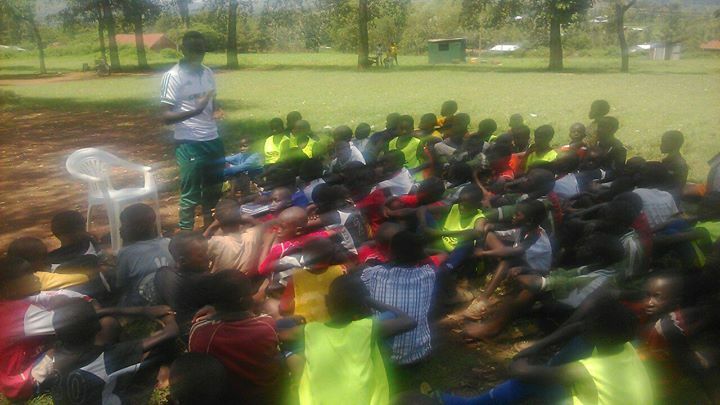 During this year's soccer camp, SEP has also included WASH trainings focusing on Maintenance and operation of WASH facilities. The training has brought on board Network members who host such facilities like Shallow wells and boreholes. The trainings focus on hardware components, water meter reading among others. 8th SEP Annual National Soccer Extravaganza picked up on a very high tempo, with only two teams out of the invited 16 missing out. It attracted representation from Kisumu, Nairobi, Migori County, Kabondo Kasipul, Kisii County and Kasipul Constituency within Homa Bay County. 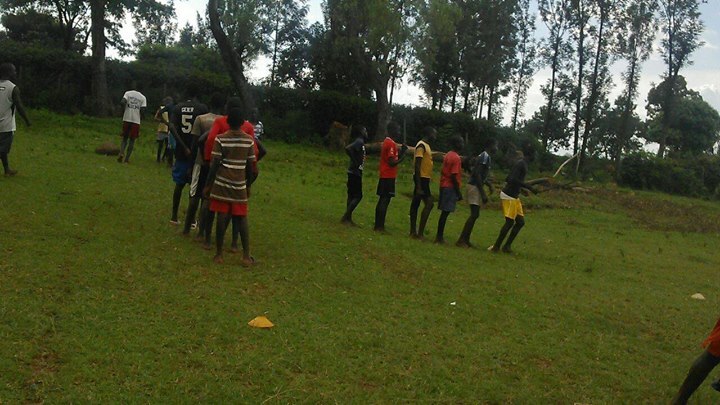 The event has been full of fun,with really goo football skills from young talented players, a case of ACAKORO - Nairobi will leave fond memories with the funs. Just two days to go, all teams are ready for the event, the education camp event will comprise a total of 16 teams. All teams will have a chance to visit our sites including our new Echo sound latrine and Agribusiness. The 8th SEP National Soccer Extravaganza, 2016 is at hand. Plans are under way to ensure effective service delivery to the participating teams. We are currently doing our very best to ensure all teams taking part in the event, and coming out of the constituency, all get accommodated for the four days. Only one month and some days for our national event anybody with a team that would like to expose this youths talents and learn more about football linked to Agribusiness, the registration is still open just let us have your email and we will forward to you the invitation letter and norms too. This is our 8th event of which we do focus on educating communities to improve on farming as a business and also it's education camp for the youths too. As we are getting ready for our big event that is extravagance national event ( Learning camp) on August, a lot as been done on the site ( the demonstration unit) for Agribusiness. As you know, that our event (camp) involve full of educative programs, many people will be longing to see how football is linked to Agribusiness. Juniors internal tournament kicked off well with a lot of empowerment, it was amazing to have kids participating in the workshop to keep the theme of event. The workshop involved Leadership, WASH, Reproductive Health, Child protection, HIV/AIDS prevention and Agribusiness. Nantes 0-0 Lazio, Espanyol 0-0 Nantes, Lazio 0-0 Espanyol,. Oyugis soccer 1-1 Supper Eagles (SEP) QPR LADIES( SEP MWAMBA) 0-1 OYUGIS SOCCER LADIES. READING 1-1 WIGAN,BLACK BURN 0-1 HULLCITY,HULLCITY 1-1READING,WIGAN 1-0 BLACKBURN. Only a day before Junior's internal tournament, we are happy to hold this young youths together through this great tool. Theme of the event will be PLAY AND LEARN whereby we will have different facilitators; (Maurice, Vivian part of reproduction and George) to empower and motivate girl child protection, Agribusiness that's farming as a business, how can there great employability and how can the project support them, leadership and many development areas! Here we go again for the third phase distribution of the school uniforms for the needy and orphans! We again say thumbs up for the support that Shahira's family has been giving out for the project. may God bless them for everything they are doing. Good work done with this young boys and girls, they really work a lot for there schools showing total respect and friendship building. Thanks to the coaches,George Osoya and George Ochieng' they really reach their goals. Thumbs up for the great change of social interaction and showing the importance using sports as development tool in the community. 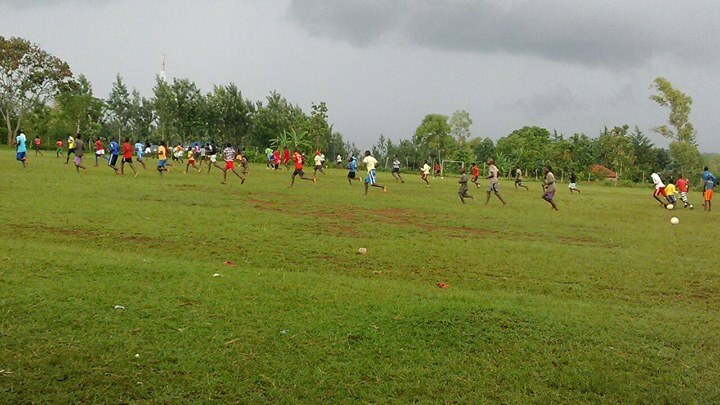 We had a build up match (friendly match) between the two Zones Kotieno and Mwamba. Kotieno girls team lost 1:0 while on the side of boys they won 2:1. "SEP Sexual Reproductive Health Programme has enable rural girls access sanitary Pads and under wears , this improves their retainer in schools.."